Gold Hill Dentistry is a family dental practice in Fort Mill. We offer comprehensive dental services for patients in Rock Hill, South Charlotte, and the surrounding areas. Led by Dr. Kavi Sagunarthy and Dr. Jennifer Mokris, the focus of our dental practice is the long-term well being of our patients’ entire mouths. Missing teeth can severely compromise not only the appearance of the teeth, but it can also have a significant negative impact on the health of the remaining teeth. At Gold Hill Dentistry, we offer dentures so that patients can have complete functionality and an improved appearance of their smiles. Dentures are replacements for missing teeth that can be removed and placed back in the mouth. A partial denture rests on a metal framework that is attached to the natural teeth surrounding the gap where a missing tooth (or teeth) was. Many times crowns are placed on adjacent natural teeth to serve as anchors for the partial denture. Each denture is custom made to fit perfectly into a patient’s mouth. Finding the perfect fit for a partial denture is the most important part of the process. At Gold Hill Dentistry, we take the time to commit personalized care toward each of our patients. We understand that having to replace missing teeth can be an emotional experience and that it is a monetary investment. You can trust Gold Hill Dentistry, for expertise and the highest quality care. 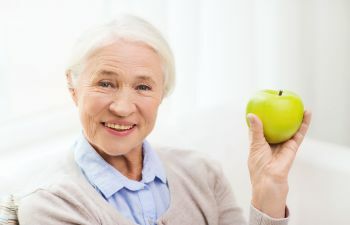 We are equipped with state of the art dental equipment and utilize the latest technology techniques to make sure that your dentures are customized to best suit your needs. Contact our dental practice today to learn more about partial dentures and set up an appointment to determine if you are a candidate for partial dentures or if there is a better solution for you. We look forward to serving you and providing you with the highest quality dental care in Fort Mill.